Do you find the materials on your walls, floors, doors and counters underwhelming? I’ve got great news – here are some fresh and snappy reboots that will start you dreaming of the next remodel. Be it for the home or office, these stylish finishes and materials are sure to create a buzz! 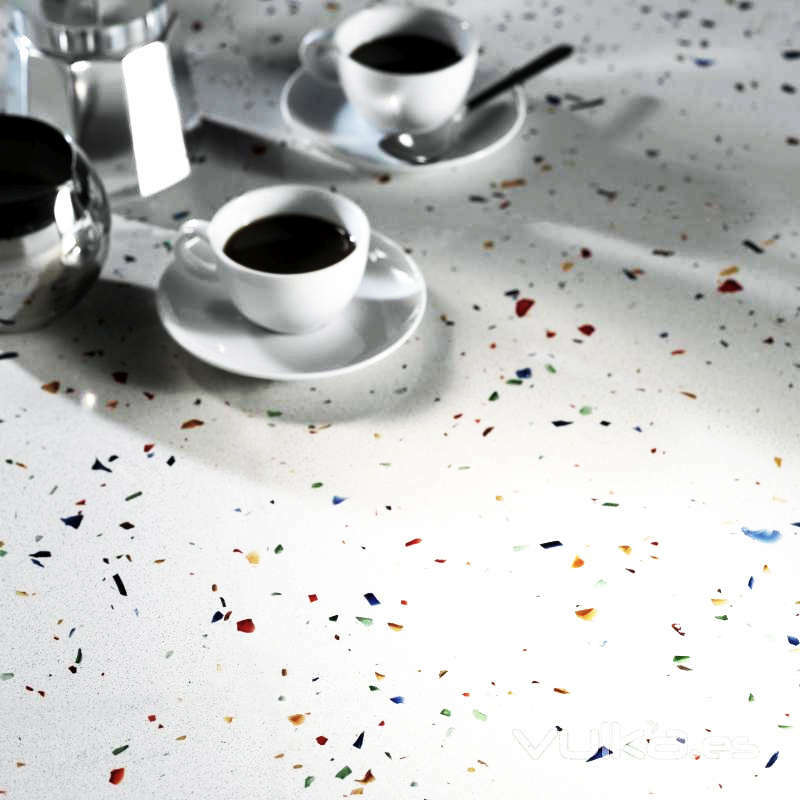 Stunning surfacing materials for your every need: these panels are perfectly suited for walls, floors and counters. 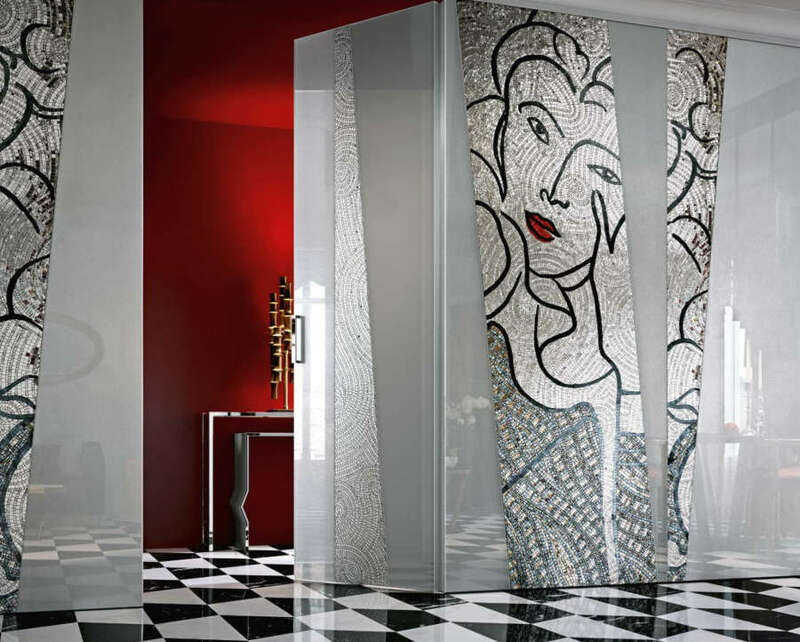 The venerable Italian house of Sicis, famed for its art mosaics, has scaled up its ambitions to offer avant-garde large format designs encased in glass. The Vetrite collection offers 47 ¼ x 110 ¼” panels and is shown to withstand abuses from wine bottle and car without ill effects! 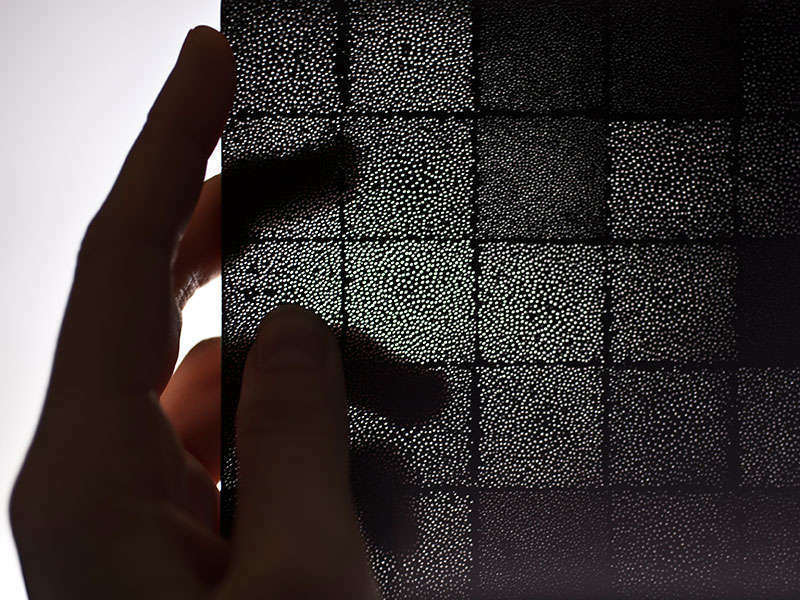 Designs imprinted on a fabric substrate is sandwiched between thin sheets of glass and can be customized as desired. Want the look of stone without its bulk? Try Electric Marble! Thin yet strong, Vetrite is perfect for use in furniture, lighting and paneling. This newest rendition heats things up with its artistic interpretation of marble in eye-popping fuscia, turquoise and gold. Gray and silver veining are also available for those prefering a more classic look. Looking for the Sound of Silence in the hive? 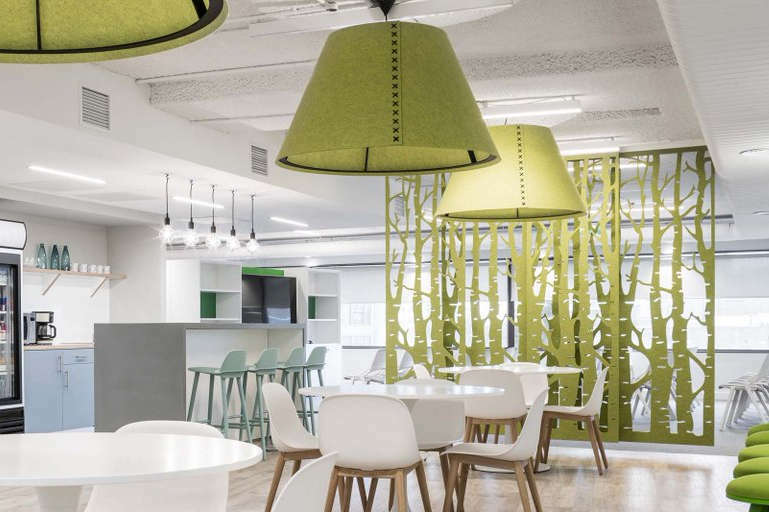 Check out this stylized birch forest in sound absorbing eco felt. 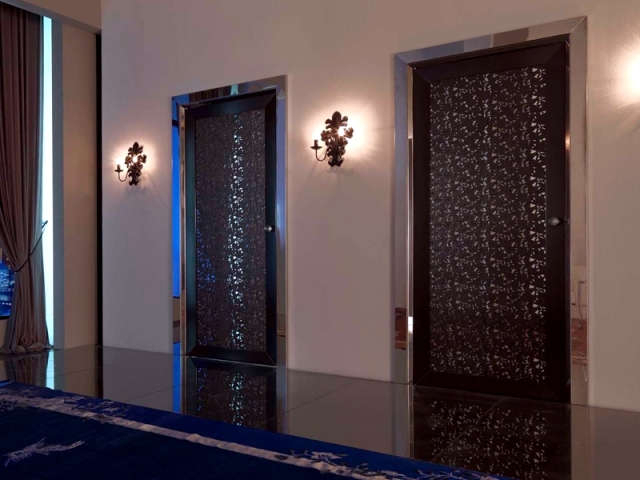 Not all doors are created equal, and these doors are definitely over-the-top luxe! Each of these doors of non-corrosive Inox steel is clad with a mirrored panel. The specular surface is then overlaid by a lacey ‘skin’ of intricately punched leather. A glass doorknob provides an elegant finishing touch. 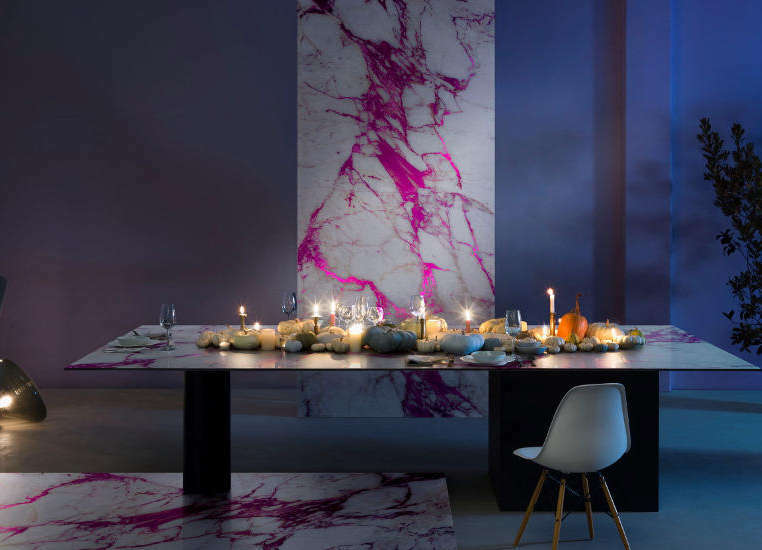 Here’s an antidote to the ubiquitous stone or boringly patterned engineered quartz slabs. Love the blast of colors on the counter! Beautiful flecks of Murano glass are randomly interspersed in the white resin, creating a dynamic look and ensuring no two slabs are alike. Green creds aside, the glass chips’ depth of color and rich shade variation really add to the material’s character. Best of all, the polymer substrate is non-porous, extremely resistant to acids, oils and abrasion making it the perfect choice for kitchens and baths. A translucent sustainably-sourced veneer for lighting and furnishings. The innovative German product design firm out for space created a new material from rattan palms, plants whose internal structure resemble a bundle of tubes. By using a patented process to strengthen and color the strands, karuun® can be used in cane form for furniture or sliced into veneers with different profiles. The light weight but strong karuun® shine is made by cutting across the material’s section, which allows air and light to flow freely through the panel’s hollow channels. Striking demountable partitions that create privacy without blocking light or views. Today’s dynamic business environment demands flexible, responsive and Instagram-worthy interiors. 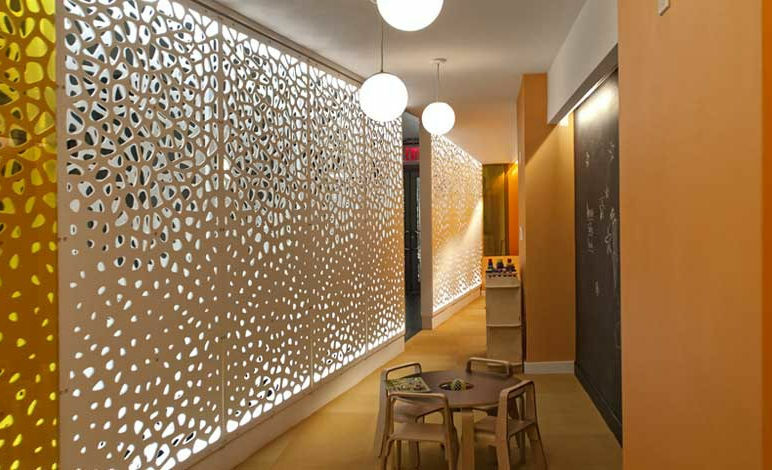 Functional art panels that can be used as wall systems, freestanding dividers or decorative privacy screens for walls and ceilings will fill the bill perfectly. Razortooth Design offers modular partitions of aluminum composite and various synthetic plastic polymers for interior or exterior applications. The Constructor series shown here features sturdy double panels with concealed hardware for a contemporary look. Made with computerized cutting tools on pre-finished materials, they are more cost-effective than comparable laser cut metal processes to boot. Hmm, are magic incantations needed for access?? 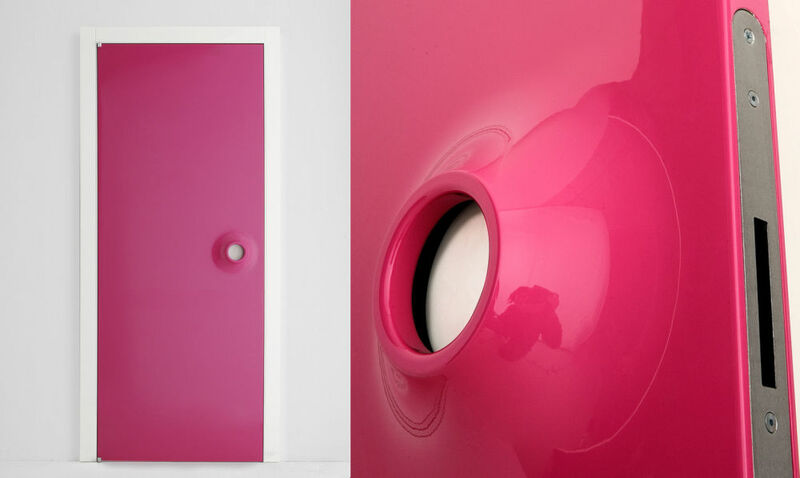 Created by renowned industrial designer Karim Rashid for Albed, the minimalist Ring Door shows no visible knobs or levers. The secret lies in the Ring housed inside the ‘volcano’ or raised section of the sleek face. Activate the Ring and a magnetic lock will do the equivalent of Open Sesame! Just as intriguing are Rashid’s Bow doors, this one in lacquered walnut. In fact installing a pair of double doors really amp up the cool factor! Also maglock operated, this sculptural door once again challenges our concept and expectation of utilitarian objects. 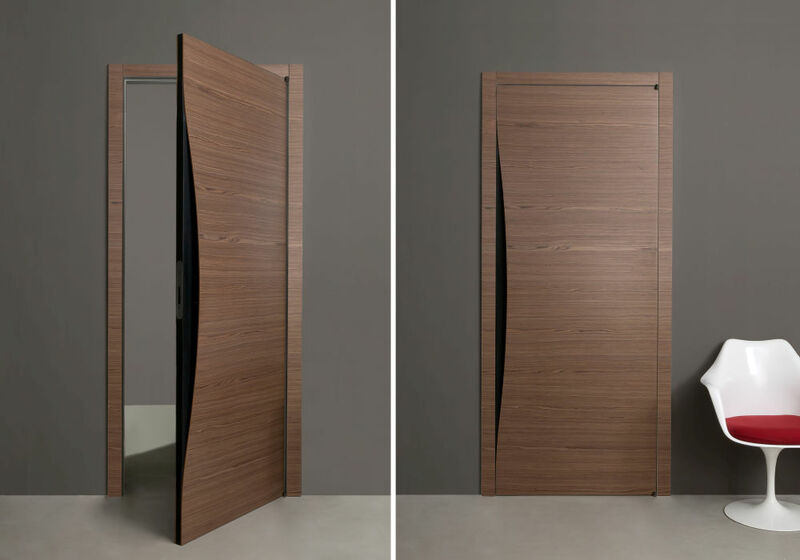 The handle to operate the door is cleverly hidden inside the fold of the ‘wave’, rendering the hardware virtually invisible. Not to cramp any designer’s style, the doors come in a myriad of wood finishes and colors, guaranteed to work with any color scheme! This entry was posted in Green Design & Construction, Interior Design and tagged Counter Tops, Doors, Eco-friendly, Materials & Finishes, Recycled material by Marie Chan. Bookmark the permalink.